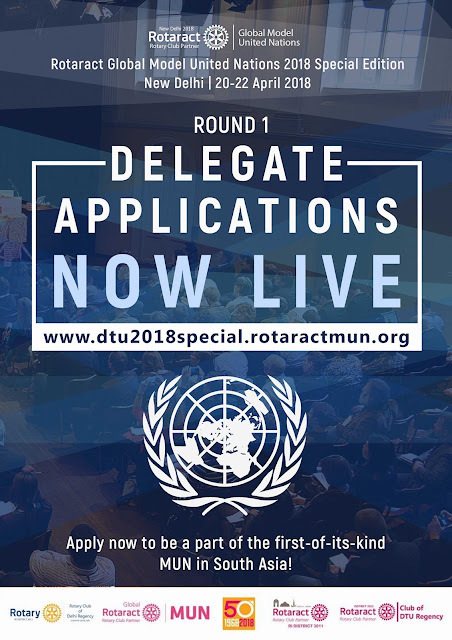 The First Round of Delegate Applications for Rotaract Global Model United Nations Special Edition 2018 is now OPEN! Welcoming Everyone, from novice to experts, to APPLY for this International Edition! First Round of Applications close on 15 February 2018, Apply now to avail Early Bird Packages. We hope to see you all at India International Centre in New Delhi, India from 20 - 22 April 2018.